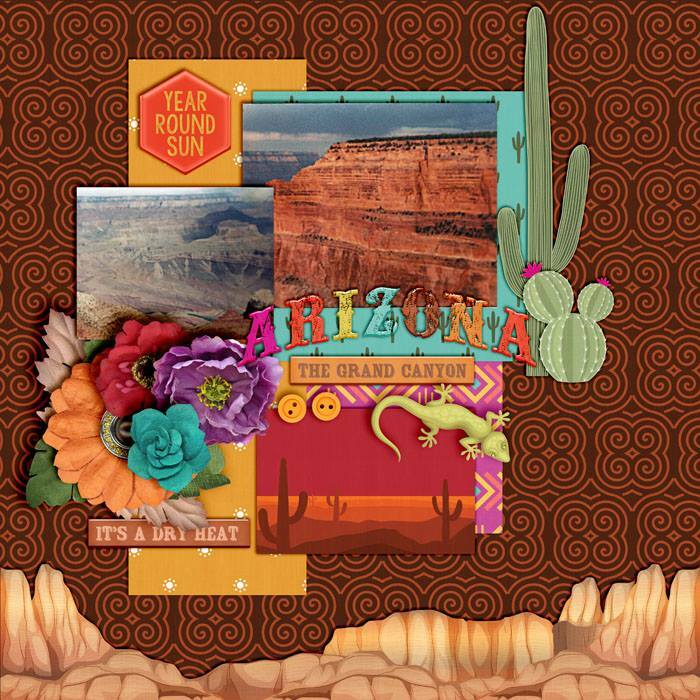 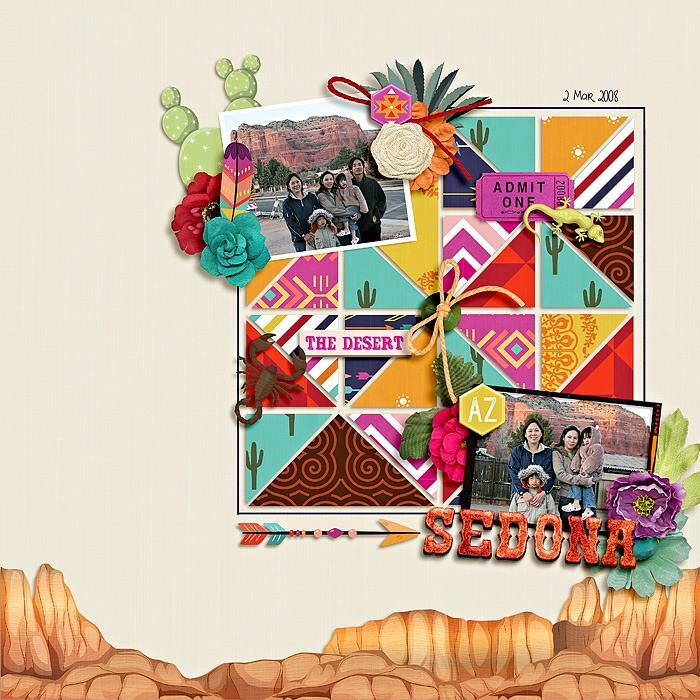 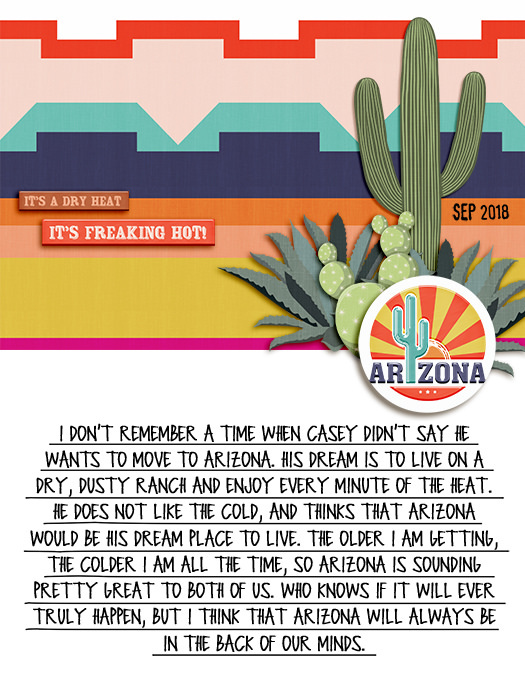 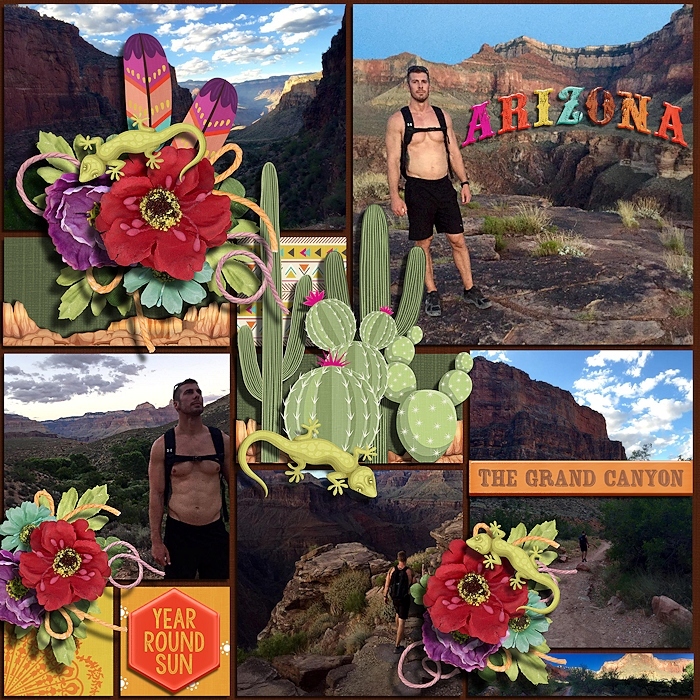 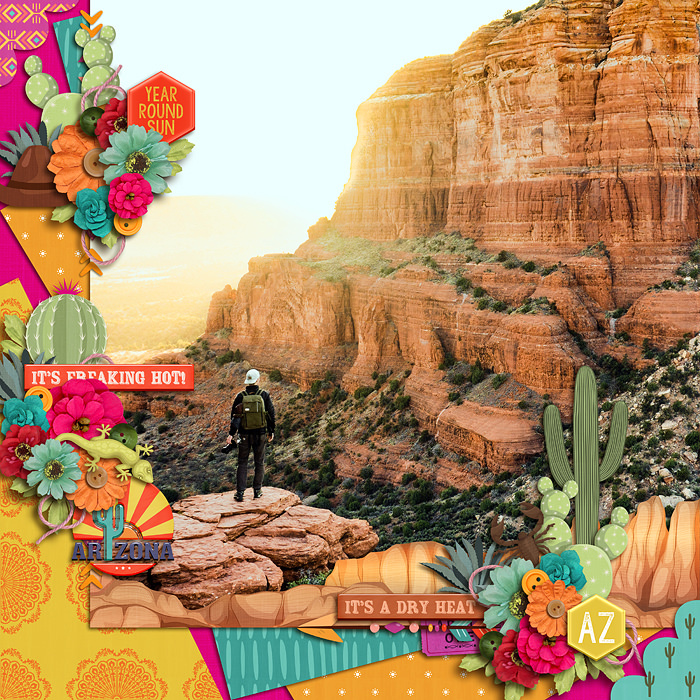 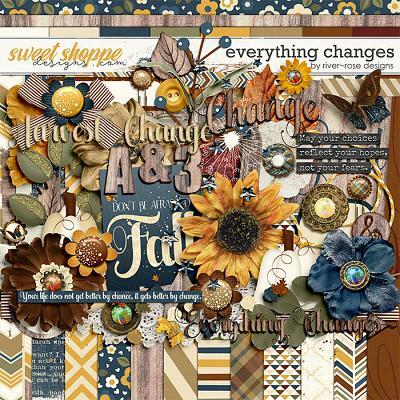 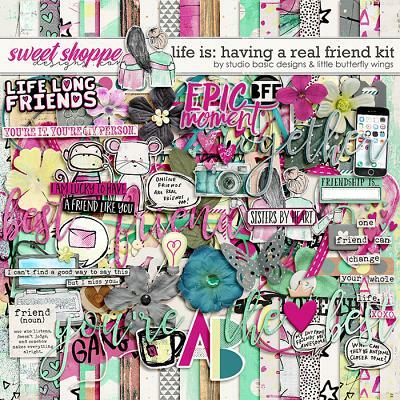 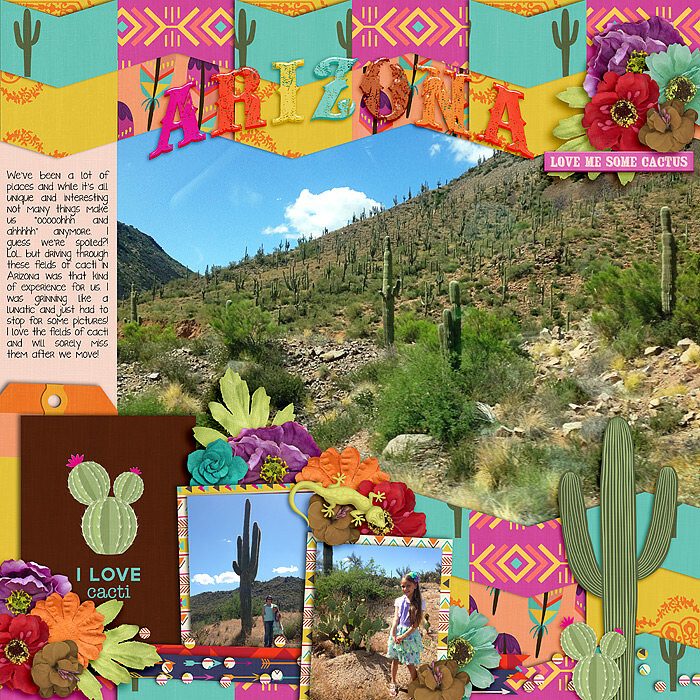 A digital scrapbook kit by Kelly Bangs Creative, 50 States: Arizona takes us to another destination in the U.S. 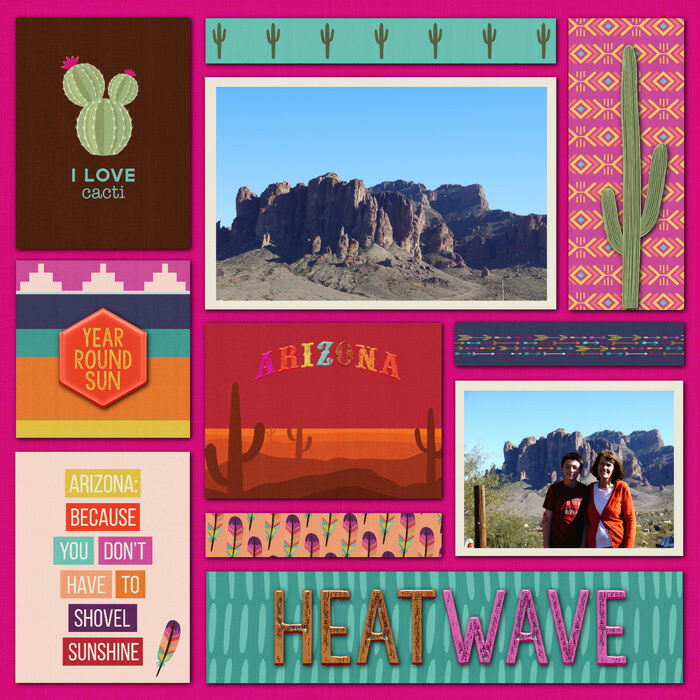 This time we're heading to the desert in Phoenix AZ. 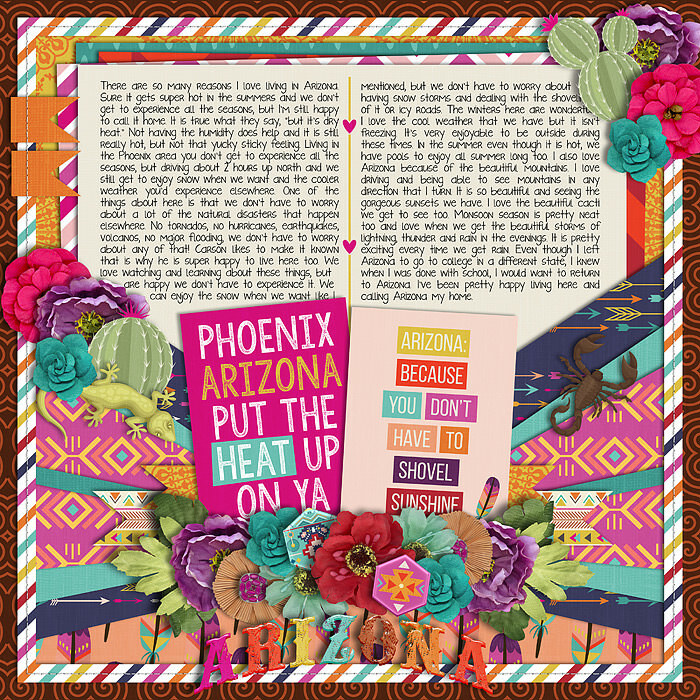 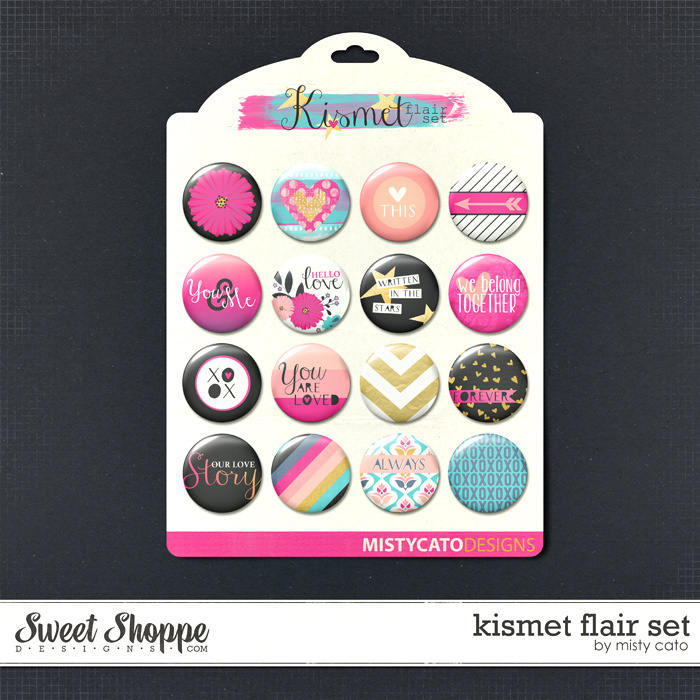 Kit includes: 32 Backgrounds (14 patterns & 18 solids), 64 elements including various cacti, local wildlife, desert scapes, southwest style art, and unique word art and a beautiful assortment of flowers and foliage. 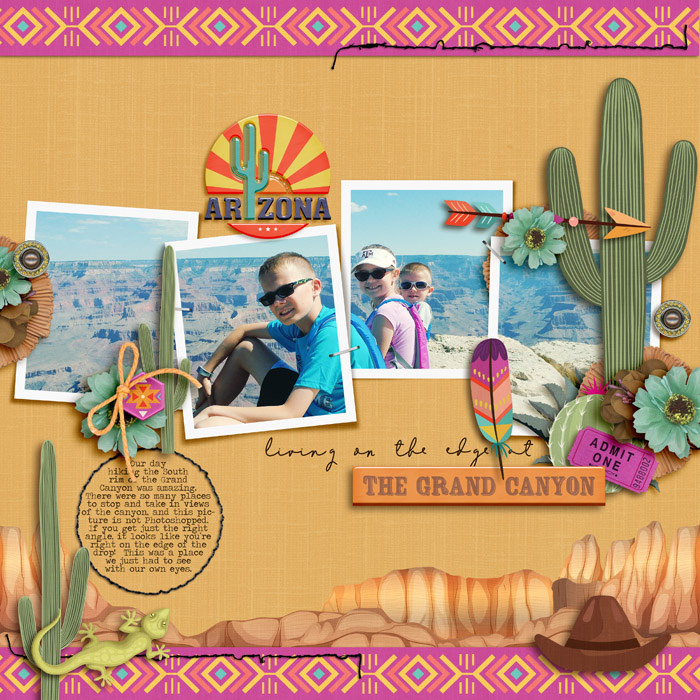 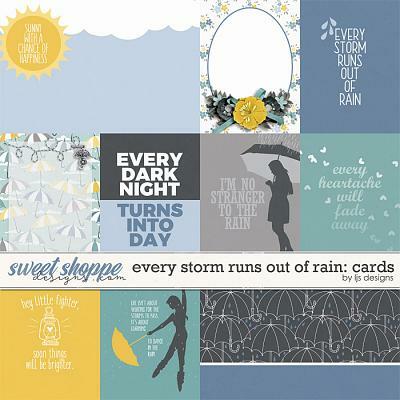 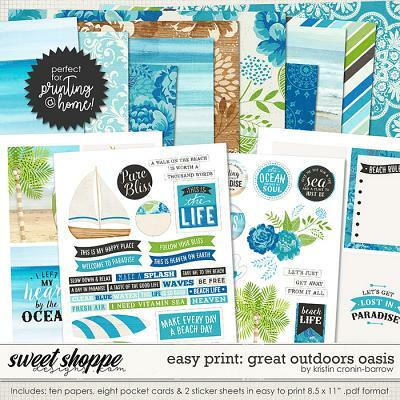 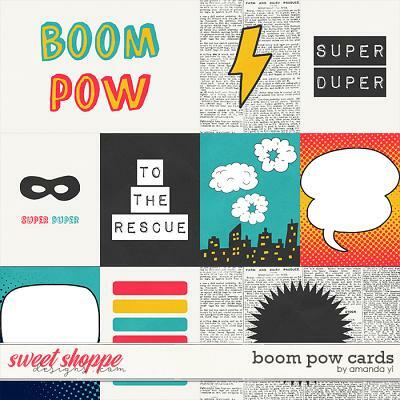 Journal card set includes 8 3x4 cards and 2 4x6 cards in jpeg format.